December 12, 2018, a meeting with the Chinese delegation from Hainan Province was held at the Chamber of Commerce and Industry of the Republic of Tajikistan. The delegation included: Deputy Chairman of the Hainan Chinese People’s Political Consultative Conference, Mr. Wang Yong – Head of the Delegation; Mr. Wang Chenghuang, Director General of the Hainan Chinese People’s Political Consultative Conference; Director General, The United Front Work Department of the Central Committee of the Communist Party of China (UFWD), Sanya City, Mr. Chen Zhenguang; Chairman of the Municipal Committee of the Hainan Chinese People’s Political Consultative Conference, Ms. Zhou Linmei; Director of the Hainan Department of International Relations of the People’s Government of the Province; Mr. Chen Shaoqiang; Coordinator of the Office of International Relations of the People’s Government of the Province, Ms. Li Liyun. 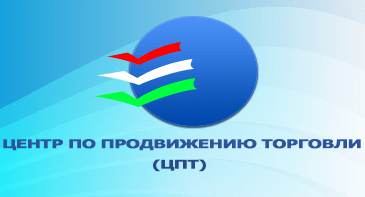 “Analyzing the modern foreign economic relations between the Chamber of Commerce and Industry of the Republic of Tajikistan and the business world of the People’s Republic of China, we have to state that the interrelations are multifaceted. Today, relations between Tajikistan and China are on the path of comprehensive development, continuation of the dialogue in economic and investment”, the Deputy Chairman of the Chamber of Commerce and Industry of Tajikistan Sangov Odil said, opening the meeting. 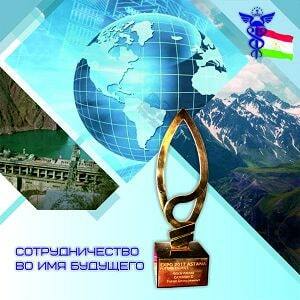 Tajikistan considers China as an important partner in the areas of hydropower, water resources, information technology, agriculture, light, processing, food and pharmaceutical industry, healthcare. Our countries have good relations in the fields of culture and tourism. The cooperation in the line of Chambers of Commerce is particularly noteworthy. The Chamber of Commerce and Industry of the Republic of Tajikistan is interested in further strengthening and deepening ties with the business community of Hainan Province. Regarding the prospects for bilateral cooperation, Sangov O.A. noted that the main purpose of the meeting is to discuss issues of development and further strengthening of the Tajik-Chinese trade, economic and investment relations. Also, Sangov O. considered cooperation in the field of exhibition and fair activities, conducting joint business forums, economic missions, the exchange of commercial information, science and technology, education, health care, training of business personnel, and tourism the key areas of cooperation, emphasizing that Hainan Province has vast experience in the development of tourism and tourism infrastructure. 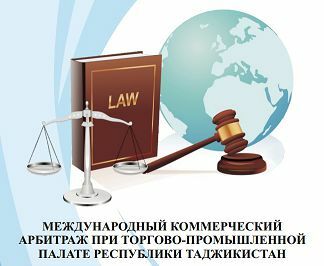 In Tajikistan, a favorable environment has been created for business development, free competition and investment; there are institutions of International Commercial Arbitration, the Treaties and the Center for Mediation and Law operating under the Chamber of Commerce and Industry of the Republic of Tajikistan. The interlocutors noted the most promising areas of cooperation between Hainan and Tajikistan entrepreneurs. Among them: exporting from Tajikistan to Hainan environmentally friendly agricultural products, including Tajik dried fruits; tourism and attracting Chinese investment in the economy of the republic. “Trust in business – partnership, predictability of actions – are the concepts which are valued in China and Tajikistan, and they create the basis for building the future”, the Chinese side noted, inviting CCI RT management and entrepreneurs of Tajikistan to visit the province. During the visit to Tajikistan, representatives from Hainan business community will visit a number of industrial enterprises in the country.